Previous Post Coachella Outfits Ideas! Yeeah, I just can say you’re right! I just love you Aspyn, you were, will and are my biggest role model! Forever! You’re family (included Parker) can be so proud of you! I am at the age of Avery, a little bit younger (I am becoming 14 in a few days). So i just wanted to say that you are such a wonderful/perfect person out of my point of view. Ah, er… and I am a German Girl, so sorry for the faults (Grammar, Spelling, I don’t know). Yeah, that’s all, I really hope that you are gonna see this comment, maybe reply? LOVE YOU ASPYN!!! (and Parker too of course). I am obsessed with your blog! Lovvveeee. I love this post omg? Thankyou! Same! I can only dream that I could ever afford these. Loved it!! Could anyon eplease check out my blog! This is such a great post! I usually get my mom some high end makeup like YSL lipsticks or more of those fancy clinique serums that she likes, but won’t spend money on! Your blog posts, YouTube videos, and vlogs give me so much inspiration. You teach me that anyone can do anything. Thank you Aspen and Parker!? All these are such cute gift ideas! Loving your blogposts lately! ? Not doing anything for my mom. She died in October last year. Pleases take some time to think outside this little box. Happy mother’s day to all the lovely mothers out there!! My mom is the same way. I’m glad to see I wasn’t the only person who felt like this abut this post. Hey , I hope that your journey had full of joyable and you enjoyed a lot there. Its seems good to you that after back to your journey you can carry on writing mothers day gifts ideas for us so its really honorable and happy moment for us and your choice are really amazing so like to tell you thank you very much and i love your blog too much so keep writing and give information to us. 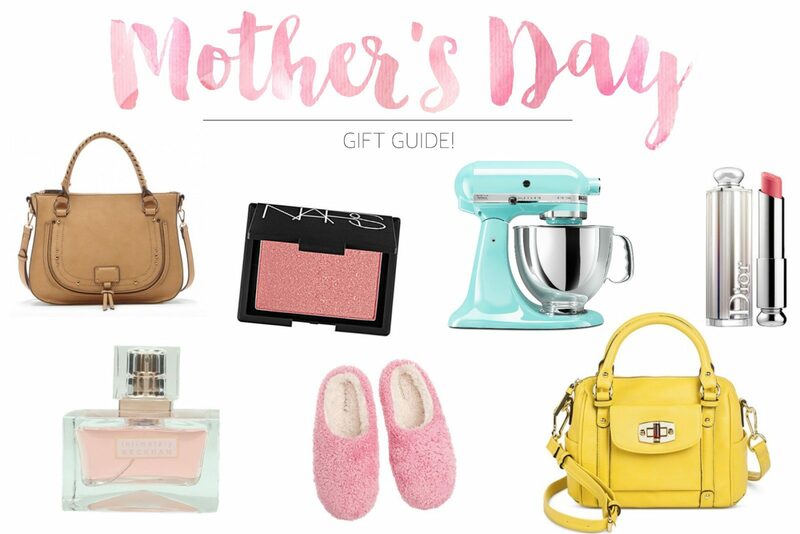 Thank you for the Mother’s Day gift guide! My mom would LOVE that blue mixer. I am also loving your blog lately. It is obvious that you have been working really hard! That yellow bag is the cutest and such a bargain! The yellow bag is really pretty and eye catching! Some great tips Aspyn, I hope you and Parker are doing well and both enjoy Mothersday next week! YES to the Kitchen Aid mixer and the blush! These are great ideas! That dior lipstick looks SO pretty. If I bought that for my mom, I’d probably just end up stealing it from her. Glad you guys had fun traveling! I love your Youtube channel and I especially love your + parker’s channel! You are such a beautiful lady inside and out, and such an inspiration. Thank you for being you and producing amazing videos and blog posts! I love this post! I would love any of these items for Mother’s Day! My mum would love to get makeup every year for mother’s day!